Acumatica’s comprehensive cloud ERP solution was exactly what Nothing Bundt Cakes needed to connect their multiple businesses, gain insight for better decision making, and increase efficiency. Here’s their story. 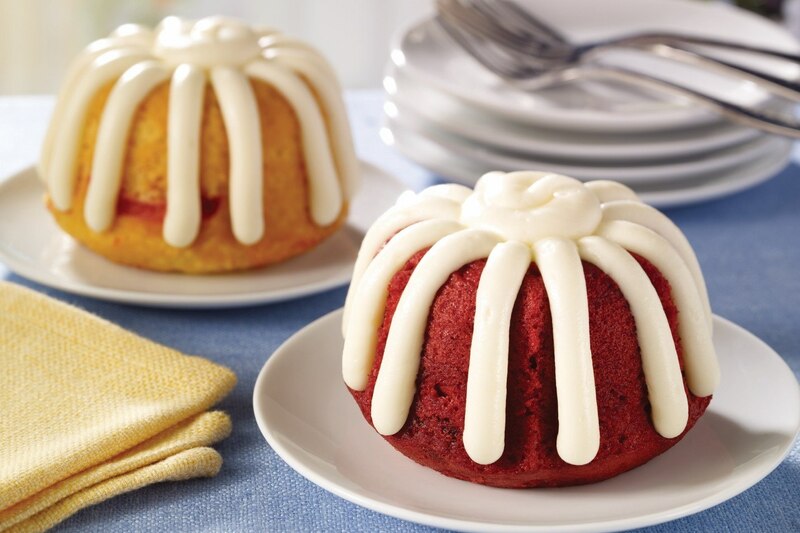 Nothing Bundt Cakes, a growing franchise company that brings joy to guests with their handcrafted cakes nationwide, turned to Acumatica’s integrated cloud ERP solution to help them automate and connect their business. And like customers Superprem, Specified Technologies Inc., Ray Allen Manufacturing, Berthold Technologies, Shoebacca, Tayse Rugs and MiiR, they want other companies to hear about their Acumatica experience and enjoy the same success. Dena Tripp and Debbie Shwetz were friends before they were business partners. They enjoyed entertaining, and their combined baking expertise produced cakes better than any their friends or family had ever tasted. There was a gap in the world for readily available, delicious cakes that didn’t compromise on their ingredients. In 1997, Dena and Debbie opened their first Nothing Bundt Cakes bakery in Las Vegas. Today, the company has over 290 franchise bakeries across the U.S. and continues to grow. CFO Bill Schaffler, one of the customers who joined Acumatica CEO Jon Roskill during Day One of Acumatica Summit 2019 to talk about their Acumatica cloud ERP success (you can check out the Summit Day One on-demand keynote and watch as each member of the audience enjoyed a delicious Nothing Bundt Cakes “Bundtlet”), says the company operates as three separate entities, consisting of their franchise bakeries, a manufacturing arm for making ingredients, and a distribution center for purchasing, shipping, and inventory management. Not surprisingly, they carry a lot of inventory at one time. Bill found managing multiple businesses with high inventory levels to be a challenge. He, along with a panel of experts, discussed the challenges of being a modern CFO (such as setting and meeting KPIs, protecting business data, and the importance of sharing financial information business-wide) and how modern, cloud-based ERP software can overcome them in an on-demand webinar. This means they had little or no insight into the “ebbs and flows” of pricing for their products, which they purchase in mass quantities. With 500 SKUs, they couldn’t adequately track changes in pricing and found themselves making decisions after results came in. It was time for the quickly expanding company to find cloud-based financial management software and distribution software that could connect their different businesses, provide the insights they needed to make better decisions, and automate their processes. So, they did their homework. “You have to do lots of homework, both in terms of understanding your business and understanding the options that you have when it comes to selecting an ERP,” Bill says. They brought in experts, who gave them confidence that they had done “the right amount of research, the right amount of vetting, the right amount of demonstrations” before they made their choice: Acumatica cloud ERP. Their second quadrant revolves around putting in a new point of sale system next year across all 290 bakeries. Bill says they needed an ERP system that could “communicate with that POS system in a way that we can actually mine and use that data that the POS will produce.” And the third quadrant is customer relationship management software to collect information from the POS about their guests, including their buying habits, where they live, and what their demographic is. Acumatica cloud ERP will help them do all this and more. Nothing Bundt Cakes implemented Acumatica Distribution Edition and Acumatica’s Financial Managementmodule with the help of Acumatica partner Crestwood Associates. Bill credits picking a “great implementation partner” as one of the main reasons for their quick and easy implementation. The company has integrated with several third-party solutions, including NetStock for inventory management, Avalara for their sales tax processing and reporting, MaxQ for calculating and billing their royalties as well as billing their customers at their distribution center, and Fusion, which allows them to use barcode scanners and eliminate manual inventory entry.